Thrill and fun is what awaits you once you find your way to Sacsara Valley. 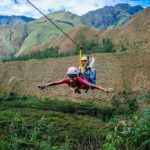 This Peruvian valley is home to the exciting Cola de Mono Canopy zip line, which features a flying fox that brings you in between two scenic mountains. Cola de Mono Canopy is considered to be the highest and longest of its kind in South America. To start your zip line experience, you will need to trek up for 30 minutes, which will bring you to 250 meters above the Canyon. You may need to spend some time and energy to do the climb, but rest assured, you will soon be rewarded with an unforgettable ride that will make your adrenaline pump and heart race! In total, the cables used for the zip line stretch 2500 meters, but the attraction is divided into six sections; the longest section being 400 meters. Once securely strapped to a harness, you will experience gliding from one platform to another. 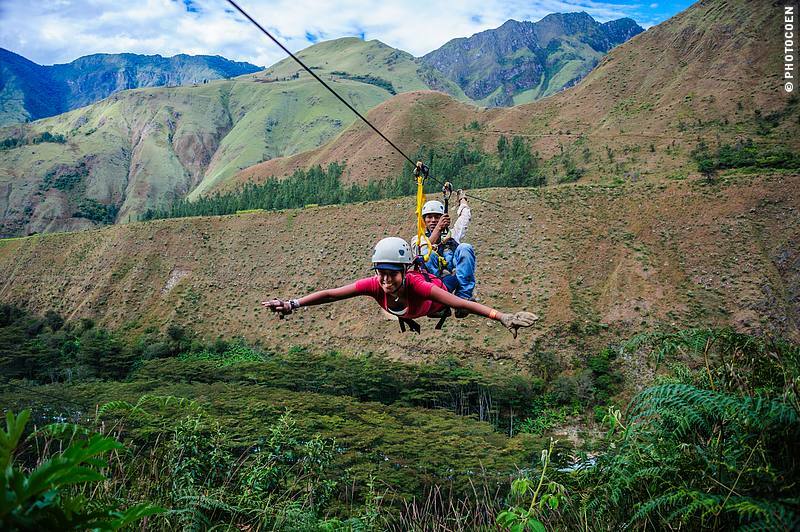 Take note that the fastest zip line speed you may experience will most likely reach up to 60 kilometers per hour. But if you think Cola de Mono Canopy is like other zip lines that make you go through a forest canopy, think again! Cola de Mona actually offers more. This zip line will also have you leap over a scenic raging river canyon, making this exhilarating experience even more memorable. Cola de Mono Canopy is situated 2 kilometers from the town of Santa Teresa, in the Sacsara Valley. Since it is only a 10-minute drive from the town, a number of tourists choose Santa Teresa to be their home base, and travel to Cola de Mono for a day trip. The town is renowned for its coffee beans, but it also makes an attractive home base because it is connected by a train service to Manchu Picchu pueblo. From Machu Picchu pueblo, you will need to travel about 15 kilometers to reach the Canopy. If you leave early in the morning from Santa Teresa, you can return by midday. Admission price to Cola de Mono includes the use of the equipment, but it typically does not include transportation, meals as well as travel insurance. If you wish, it is also possible arrange a private transfer upon request (and of course for an extra fee). Zip lining through a forest canopy and over a river canyon is not for everyone. If you still want to experience the beauty of Sacsara Valley, Cola de Mono offers other fun and exciting activities such as rafting and kayaking on the Santa Teresa River, which has remained mostly undisturbed. Camping at the Canopy base is always available but staying at a local hostel is also a viable alternative. 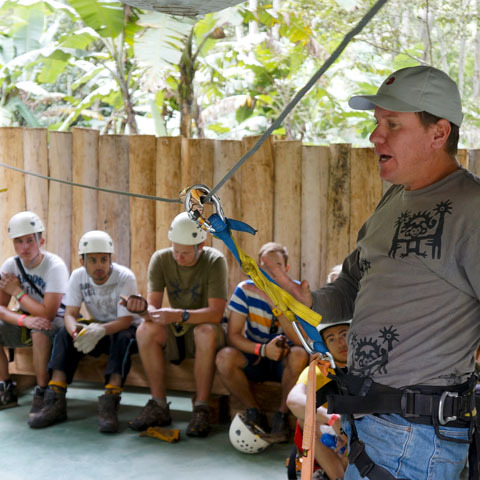 If this is your first time zip lining at such height, don’t worry – Cola de Mono staff provides a thorough orientation before you undertake your ride. Be assured the orientation is given by registered and highly skilled guides in the cable school at the site’s base camp. Before heading out to Sacsara Valley, make sure to bring important outdoor items like hiking shoes, sunblock, insect repellent and water.